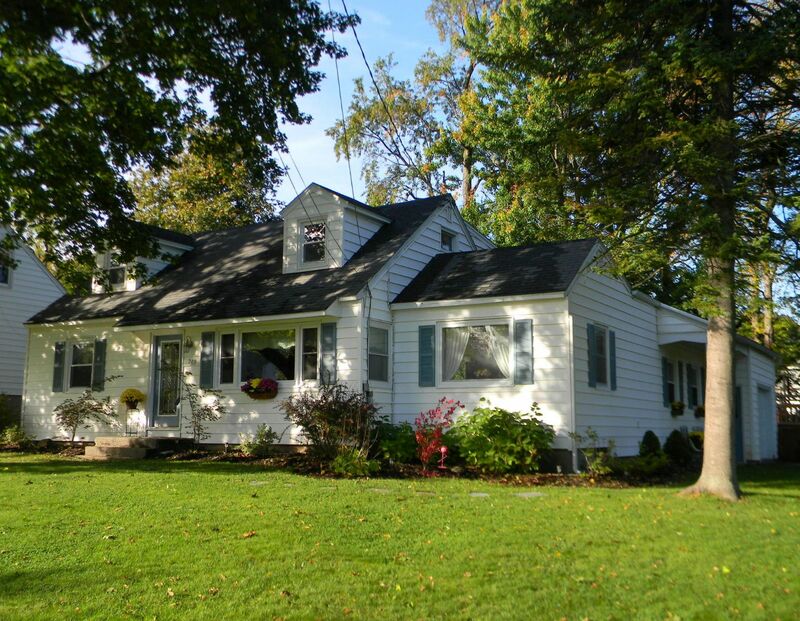 Camillus Real Estate - Contact Bob McTague at 315-882-6610 – 200 Robinhood Lane, Camillus, New York - Welcome Home! This beautiful expanded Cape Cod is located in the desirable "Stanley Manor" neighborhood. The first floor features an open floor plan with hardwoods throughout, a new kitchen with granite counters and a center island, a formal dining room, a spacious living room, a large family room with a gas stove, a master bedroom with a sitting area, and a full bath. The second floor offers 3 bedrooms and a full bath. The exterior provides a fully fenced in yard, deck, and a patio. This home is situated on a corner lot with a one car garage. Centrally located to schools, shopping, and major highways.